Check out Iasson Tsakonas’s testimonial about his Magnum 63! I love the Magnum 63, its classic, timeless Pininfarina design and its most seaworthy performance. 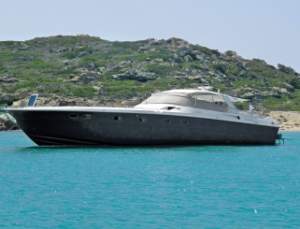 My Magnum 63 is ideal to enjoy the Greek islands! Spring Cleaning? Don’t Miss the Engine Room! Uniquely and delicately crafted, our top-of-the-line boats provide unforgettable experiences. Each of our vessels embody quality, comfort, and elegance to suit and satisfy your on-water needs. Are you interested in owning or selling a Pre-Owned Magnum today? Check out our listings!